There are few things that evoke self-doubt, fear and imposter syndrome more than career transition. Whether you’re looking to start your own business, re-enter the workplace after a break or move into a different industry or sector, many of us struggle with questions around where to start, whether we’re capable, or maybe even whether we should bother. But if you’re going to realise your dreams of a career that fulfils you, one with purpose and that you look forward to working on every (or nearly every) morning, you need to be resilient. 1. Go back to basics: who are you and what’s important to you? Before you embark on any change, it’s a good idea to take some time to build a strong sense of self. What are your values? What do you see as your purpose? What do you love to spend your time doing? All of these answers will give you clues as to what’s important to you in this next stage of your career. 2. Give yourself a pat on the back – when you’re heading in a different direction, it’s all too easy to forget all the things you’ve already achieved over your working life. Take some time to reflect on your career to date – what were the highlights? What skills and strengths were at play? What difference did you make? And if you’ve been out of the workplace for a while, don’t underestimate the value of what you’ve been doing and the importance of ‘soft’ skills – empathy, confidence, listening, communication, teamwork, leadership, flexibility, problem solving, positivity, creativity: they all make a difference. 3. Use your network – connecting with others isn’t just a proven way of building and sustaining happiness and a positive sense of wellbeing. Our family, friends, and colleagues past and present will all hold possibilities for future work, spark ideas and, most importantly, will provide you with moral support as you make changes. And the more people you tell about your plans – in person, on social media, at the schoolgates – the more practice and confidence it gives you, and the higher the chances of an unexpected offer of support or work. 4. Practice a growth mindset – Dr Carol Dweck’s research on mindsets promotes the importance of effort and hard work, views mistakes as learning opportunities, and recognises the emotions at play when we feel challenged. A growth rather than fixed mindset is invaluable during career transition and will help you to recognise your progress, to take risks in the knowledge that any ‘failure’ or setback is a chance to learn, and to know that fears are a natural part of your journey towards achieving your goals. 5. Take a break – whatever your plans and chosen path, it’s likely it’ll involve hard work, energy, and putting yourself out there – all of which can leave you feeling depleted. Think about what tops you back up and make time for it. Whether it’s time outside, sleeping, eating well, time with friends, journaling, exercise, a dose of peace and quiet or all of the above, acknowledge that the simplest (and least expensive) actions can reap the biggest rewards for your resilience. I am a business and personal coach, trainer, consultant, and mum. A former Assistant Headteacher, I spent 14 years working with students, staff, parents and governors to support the development of young people and my teams. 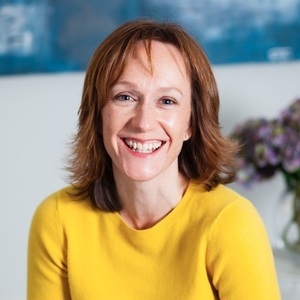 I now run my own business, working with individuals, teams and organisations, supporting them to reach their potential, and focusing particularly on building resilience - through self-awareness, confidence building and exploring the self-care tools which help people to cope with challenging situations. I am a member of the International Coach Federation.